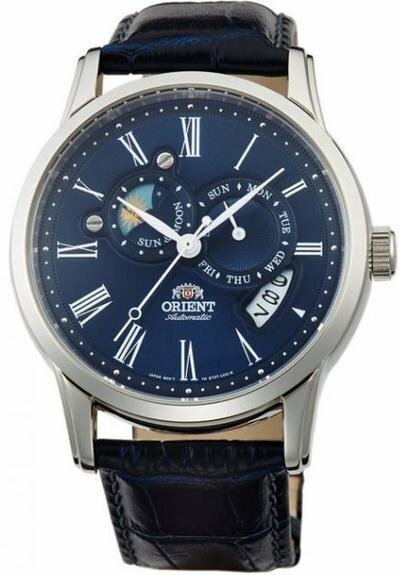 The Orient FET0T004D is one of the most beautiful watches in Orient's current lineup. 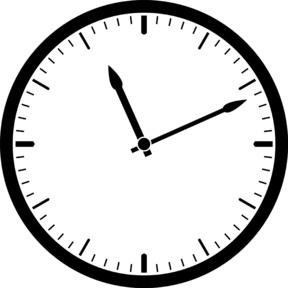 To start off with the special feature of this watch - it has a day/night indicator. This round indicator at 10 o'clock shows a little moon and sun, depending on the time of day. Perhaps you could look out of the window for this information, but it looks very nice regardless! The watch has a gorgeous dial with several layers, which gives it a great 3D effect. It also has sapphire glass, which is a lot more scratch resistant than mineral glass. The leather strap is a beautiful dark shade of blue and has a deployant clasp.